A $30,000 grant from the National Endowment for the Arts (NEA) will support a project aiming to build trust and cooperation between the Long Beach Police Department (LBPD) and Long Beach residents, ArtCenter College of Design announced earlier this month. “Building Trust, Bridging Divides: Visual Communication for Diverse Communities and Their Police” will be co-led by ArtCenter and the City of Long Beach and build upon findings from the 2015 President’s Task Force on Community Policing and serve as a pilot for other cities, according to the release. The task force concluded that building trust and legitimacy is an urgent matter and essential to preserving American democracy, while “technology and social media are integral tools that must be better used, in close conjunction with improved policy, community engagement and officer training,” ArtCenter shared. “The graphic design strategies and social media tools developed through this partnership will assist us in showing the human side of policing, while continuing to build trust and respect with our community,” said Long Beach Chief of Police Robert Luna in a statement. Senior-level design students and faculty, the LBPD, local government and community advocacy groups will work together to identify challenges and biases, explore technology-oriented design solutions that can address these issues and then launch a strategic public communications program, including an app and other social media platform interfaces, according to NEA’s description of the grant. The ArtCenter team will be lead by Tyrone Drake, associate professor in the Graphic Design department, and Jennifer May, director of the college’s Designmatters department, an international program that has been leading design for social impact education for more than 15 years, according to the release. This is not the first time the city has partnered with ArtCenter to facilitate the use of design in the public sector. Most recently, health and human services worked with the Designmatters department to address an increase of STDs among residents. The city plans to implement the student-created information campaigns for communities affected by STDs, including HIV/AIDS, throughout 2018 and 2019. The city’s innovation team also retained the services of ArtCenter students, with a recent example being the work of undergrad Isaúl Berenguer last year on the Harvey Milk Park Project, with the goal of connecting people through co-creating a public space. 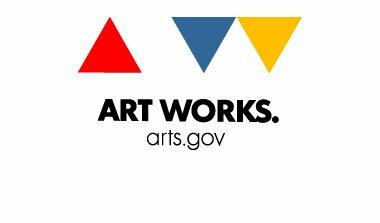 “This recognition from the NEA is a tremendous endorsement of the power of visual communication in our society and how thoughtfully designed campaigns have the potential to create change and even lead to improved human relations,” Lorne M. Buchman, president of ArtCenter, said in a statement.